Tanzania is one of those countries that may or may not fall in your holiday plan radar, due to various factors and also because of its under-popularity in the foreign countries unlike the other sumptuous countries. But we like to think, usually the best things go unnoticed and we would like to share with you some of the fine things that make Tanzania the perfect getaway for the family or for the solo’s. Before travelling anywhere first you will try researching the security status of the country and then make your decision. 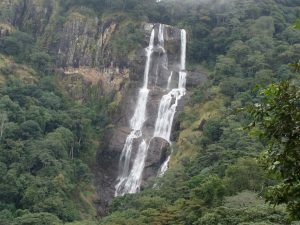 But when it comes to Tanzania you don’t have to fear, although frankly speaking you’d find one or two minor scandals, but you’d find that anywhere else too and all you have to do is stay alert with your luggages and gadgets. Tanzania is one of the most non-discriminatory country, habitating various religions, cultures and respecting and upholding the beliefs of many societies, this proves that Tanzanians are peace loving people and tourists can enjoy their safaris and tour in the country freely without the fear of any racial discrimination attacks. Also, Tanzania is friendly with her neighboring countries, hence there’s a good relationship with societies of different nationality creating a pleasing environment, but it doesn’t end there, even in terms of political stability, our country’s citizen and the government mostly agree in the same notion which brings a sense of democracy among people and Tanzania even has the appropriate tools and weaponry storages that can protect her country if anything does happens to threaten her inhabitants. Tanzania is known proudly for its culture, traditions and customs. This is perfect place for an adventurous as well as an educational journey, where from kids to the adults can expand their knowledge on the history of man. For instance the Amboni caves where early man’s paintings are preserved, to Arusha where Dr.Leakey had discovered early man’s skull. 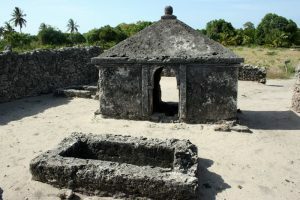 The Kaole ruins in Bagamoyo is also one of the educational places to visit, where the Portuguese and Arabs had established their settlements in the past era. The Zanzibar Stonetown in Zanzibar Island is also known for its archaic houses and buildings which are preserved from the era the Sultan had fled from Muscat, Oman to Zanzibar and started the famous cloves plantations. As explained before, in Tanzania we uphold our cultures, traditions and customs religiously, this not only makes our country more attractive but also more secure, since our culture teaches us to be peace-loving and respected people. Our tribal societies such as the original Maasai tribe, attract curious tourists, who research on their lifestyles, customs and their day to day activities. 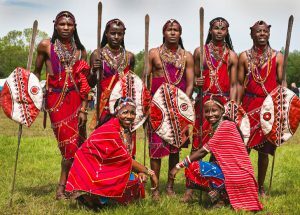 Not only the Maasai, we have 120 tribes such as the Hadzabe’s, Chaga etc, where each of the societies/tribes have different customs and traditions. The Tanzanians avoid adding any artificial preservatives in their food or any anything non-organic almost all the time, we choose our veggies fresh from the market, and for those who live in the rural areas, they grow their own veggies. Since all of our food is stewed from organic ingredients only, there are low chances of falling sick with food poisoning or stomach aches, but instead you consume food rich in protein and glucose. 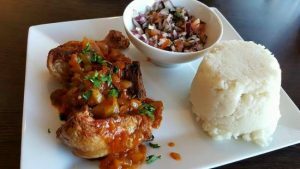 For instance, the Tanzanian national food is Ugali, also known as African pudding, which is mainly made from flour and it’s usually served with curry accompanied by fried fish or roast meat, it is not only known to be delicious but it is healthy as well. And as some say ‘you are what you eat’ (not literally) Ugali represents Tanzanians as Healthy & Energetic people. 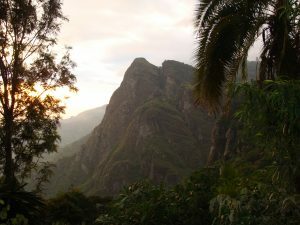 Rich in mountains, water bodies and green luscious vegetations, Tanzania is attributed to be known as the nature haven. 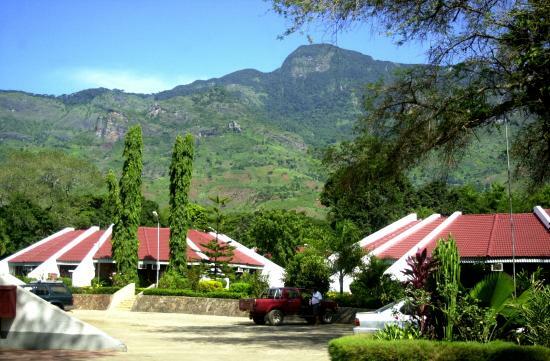 The greenery areas such as Morogogoro or the great mountain scenic views in Arusha, not forgetting the boating experience in Gombe and Zanzibar Islands provide a range of themes of how you’d like to spend your journey, from green grass views to deep blue oceanic views. If you were looking for a sign all this time in finding a perfect travel experience, well here it is, your ultimate sign as to why you should travel to Tanzania, and us, as The Wildness Safari Crew we urge you to travel with us to find comfortability in your stay and prevent any hurdle along your journey. Tanzania, also known as the ‘land of opportunities’, located in the eastern part of Africa neighboring the great Indian Ocean. To some it’s the haven of peace and a perfect getaway to an exciting adventurous journey, but to some of us the lucky ones, we proudly say it’s our home. 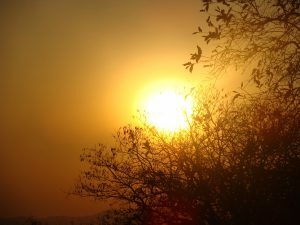 Our country is mainly described as ‘warm & hot’, and we don’t only mean our climate aspect but also the people of Tanzania are categorized as warm and kind people. As Tanzanians we pay high tribute to our culture and heritage and we are always broad minded in accepting and respecting new foreign culture and ideas. With our great climate of an approximation of 20°-30° C depending on the given season of the year, our astounding wildlife reserves, rich cultural heritage and history and extremely peaceful environment, Tanzania is easily the perfect holiday getaway. Our Tanzania is so vast that even as Tanzanians we have yet to discover various other parts and we are on a constant journey in unearthing our way to the wonders of our country. 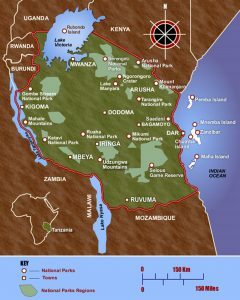 The vastness of Tanzania can be categorized in Northern, Southern, Western and Eastern Circuits. The Northern Circuit includes the entire diverse safari packages, conservation areas and game reserves such as the wondrous Ngorongoro crater and game reserve, which is also classified as the wonder of the world, due to the ‘magical sky’ under the mountain, The iconic Serengeti national park, where the constant migration of the wildebeest herd can be awe-inspired up close, not forgetting our pride Mount Kilimanjaro, the highest mountain in Tanzania and the various other sight-seeing worth places such as the Arusha town and many others. The Southern Circuit includes another diverse packages including the Mikumi national park, which is a home to large varitieties of bird species, Selous Game Reserve, the breathtaking safari perfect for its wet wilderness, The astounding Udzungwa Mountains National Park, where you can go trekking and summit the top or swim in the waterfalls. The Eastern Circuit gives out the tropical and exotic vibe just by merely being in the oceanic areas. 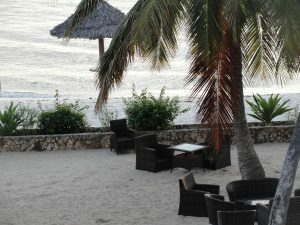 It includes Saadani Game Park, a perfect getaway for the water and safari lovers, it’s a perfect place for discovering wildlife as you walk by the sandy beaches, Bagamoyo, which is rich in its Kaole ruins, a perfect place for studying our origin and a perfect chain of our exotic Islands including Zanzibar and Pemba. Although the Northern Circuit can be more popular compared to the Southern Circuit, it’s more hectic and usually crowded by tourists all year-round. But the Southern Circuit is quite the opposite of the Northern Circuit since it’s not that much well-known, hence it makes it more remarkable since the land is untouched and gives you the serene and peaceful feeling as if it’s just you in a total complete different world in your vehicle in an unperturbed wild landscape. So join us in our journey, and let’s discover our hidden African treasures together.